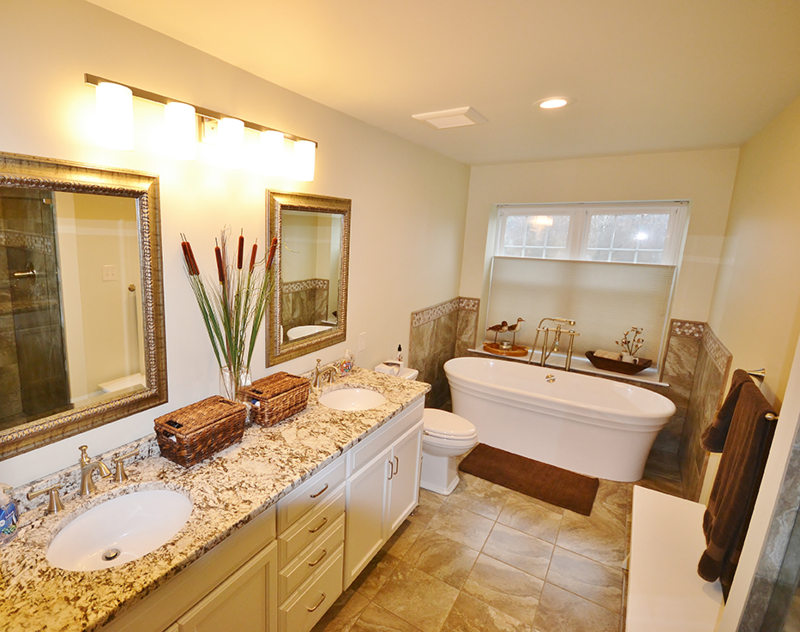 We performed a full master bath remodel. 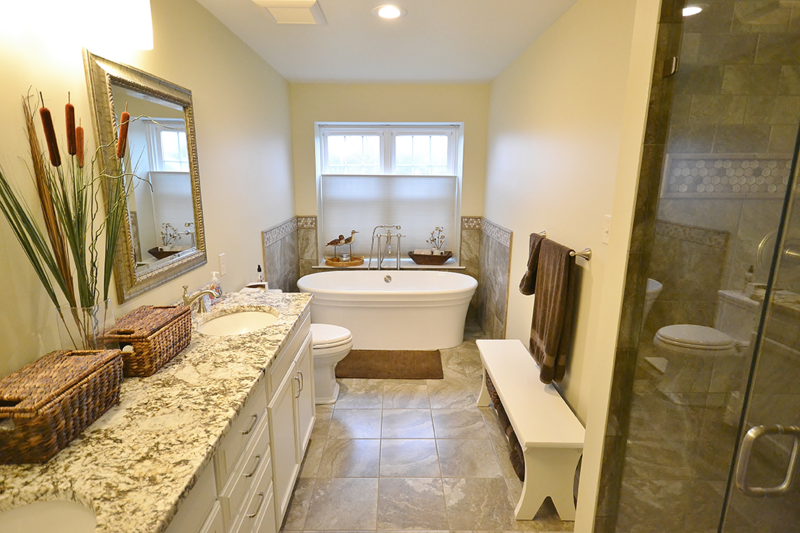 We installed new tile flooring, tub surround wall tile, and shower tile. 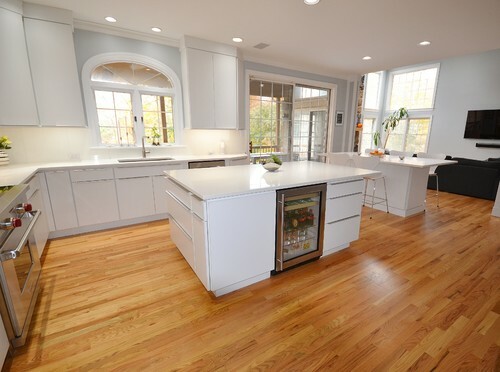 We replaced the cabinetry with Fieldstone Cabinetry in the Stratford door style with Dove painted finish. 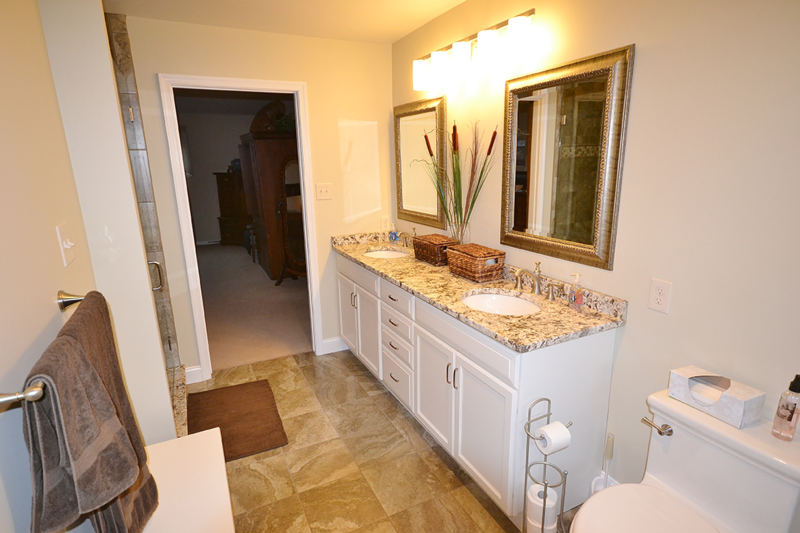 The vanity countertops are Antico White granite. 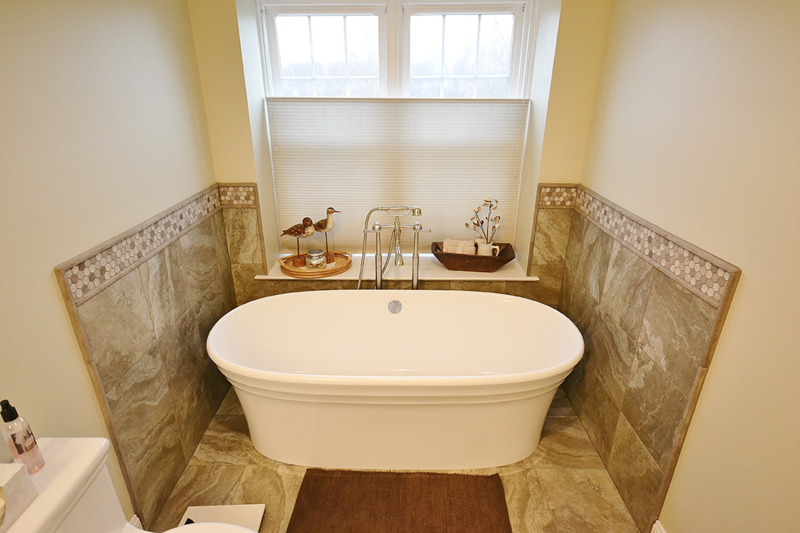 The existing tub was a drop in whirlpool tub with large tile surround; we chose to go with a new Pedestal Tub with free standing fixtures to make it feel more open and really add a great new look and feel to the bath. 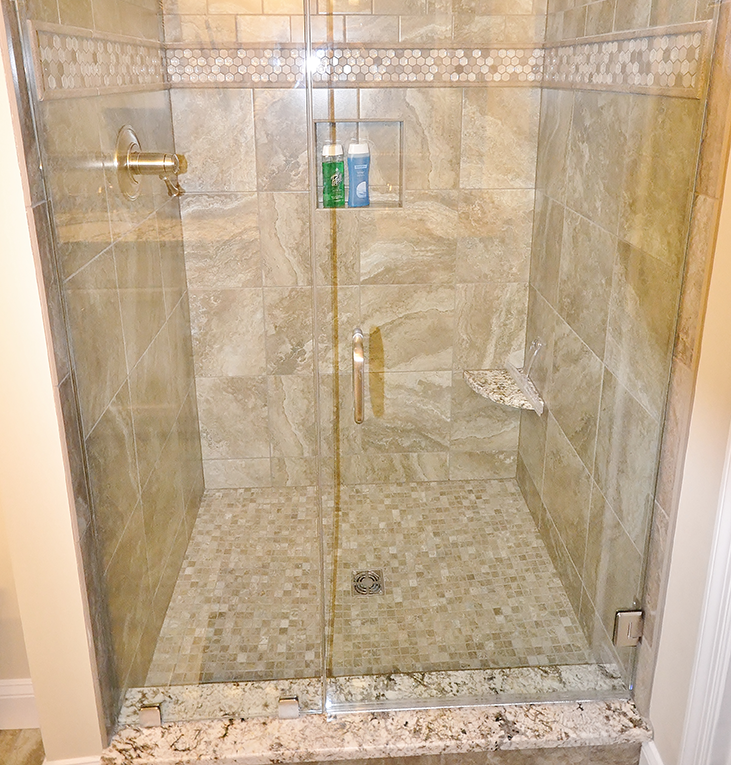 The new frameless clear shower glass really shows off the great tile design and install.